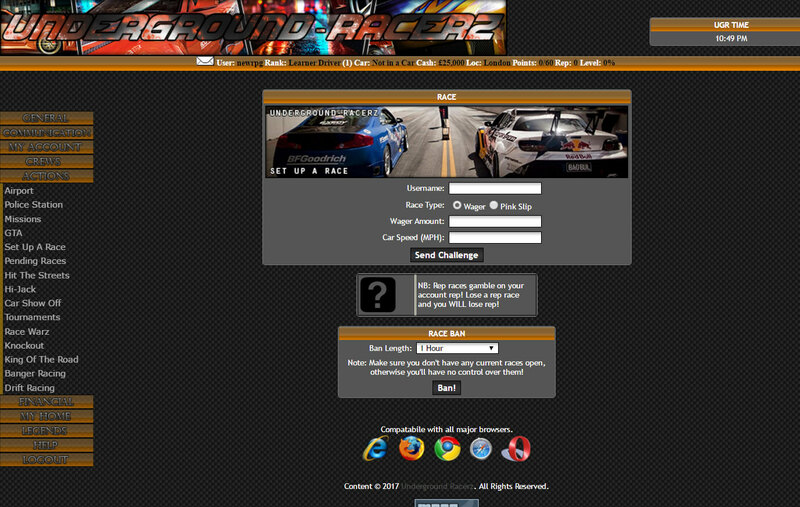 Underground Racerz is an oldschool text based browser racing game. Check out the car dealership to pick your favourite car. Get parts and upgrade your vehicle performance. Gain levels by racing against other players. Find or create your own crew to team up with others. Get some easy money hitting the streets and hi-jacking. If you blow up your car, then you can recover it. Watch out for your car’s fuel as well. If you are done with your car, dump it at the scrap yard and get a better one.